We represent manufacturers leading the field in innovation and technology from Seymour, LPS, Loctite, 3M, Laco, and Lubriplate to name just a few. 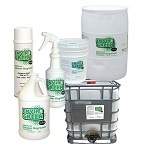 These products are degreasers, cleaners, grease, lubricants/penetrants, corrosion inhibitors, cutting fluids, firestop, paint, sealants, sawing fluids, marking products, caulking products. Customers from the Motor Vehicle Body and Trailer Mfg., Commercial and Industrial Building Construction, Chicken Egg Production, Agricultural Implement Mfg., Motor Vehicle Body and Trailer Manufacturing, Electrical, Plumbing,& Heating Contractors, and Wood Kitchen Cabinet and counter top manufacturing.